In Playa del Carmen, there are three “zones” for beaches. There are the squares in the center, certainly not the most beautiful in the world, the beach of Playacar is not wide, but it is very near the small downtown hotels; it goes from the pier for the ferry to Cozumel, up to Calle 38, also known as “Shangri la”. On the north side we have Coco beach and Playa Esmeralda which is the less crowded part,-it forms a large cove, not broad but it is mostly uncrowded. People gather on Playa Esmeralda, near the cenote. This beach is frequented mainly by locals. A short distance from this beach one can go snorkeling and see the reef, which is not the case with the beach in the center. To the south, from the pier to Cozumel until the end of the hotel zone, we have the residential area of PLAYACAR or also where most vacationers stay in Playa del Carmen as it is where there are many of the all-inclusive hotels located in front of the sea. 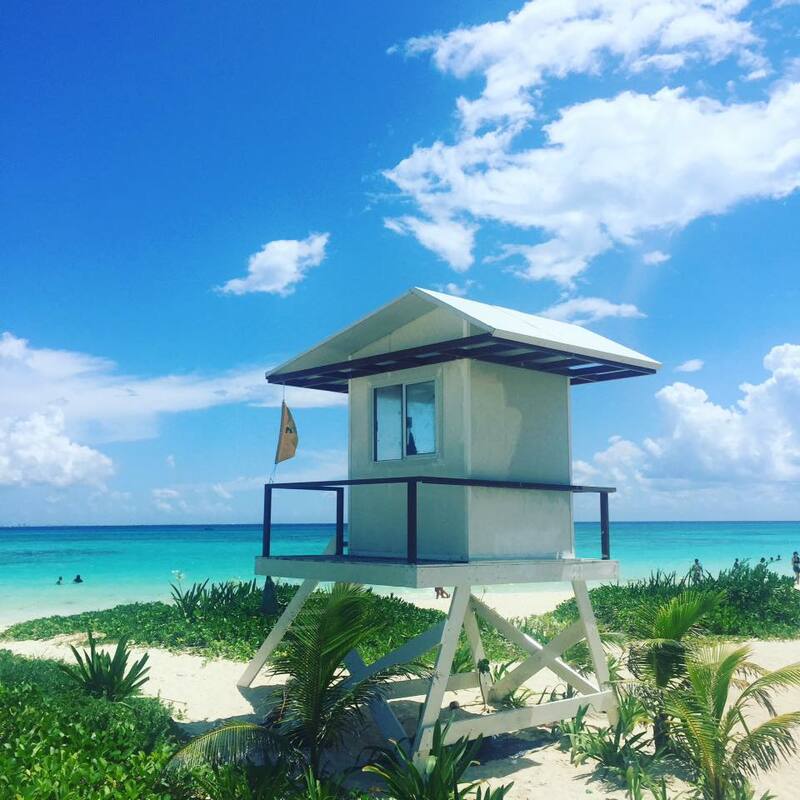 Certainly there is a world of hotels, but the beach is the best of Playa del Carmen.You can stay there an extended time, there are no rocks that could disrupt swimming, the water is turquoise, and this is THE most beautiful beach in Playa. If you are not staying at Playacar, there is access to the beach that can be reached only on foot by going through the entrance of Playacar Phase 1, then in about 200 meters, there is public access at monitoring station. At this point there is no bar or restaurant, but you can access this beautiful beach for free.